When beginning a new exercise regimen it is important to educate yourself on proper nutrition and proper resting periods to achieve optimal performance. This applies to you weekend warriors and avid athletes as well. Proper nutrition will make you feel better, recover faster and perform at a higher level. You wouldn’t dream of giving your Porsche regular gasoline when you know it requires Premium octane to give you the performance it deserves. Optimal performance requires optimal nutrition and supplementation. There are many benefits of exercise; but regular, high intensity activity depletes many essential nutrients at a rapid rate. Many people start off with nutritional deficiencies, or are taking medications that promote nutritional depletion, making it more difficult to perform at an optimal level. If your new exercise regimen is something you want to be able to continue indefinitely then there are some other things you need to think about like your ability to train, keeping a healthy immune system, recovery time and stamina. Timing of nutrients is also essential. Let’s look at the needs of an athlete. The workout is more than just providing carbohydrates. The goal of the energy phase is to prevent muscle glycogen from breaking down, to achieve greater endurance, and to blunt the rise in cortisol to reduce muscle damage. 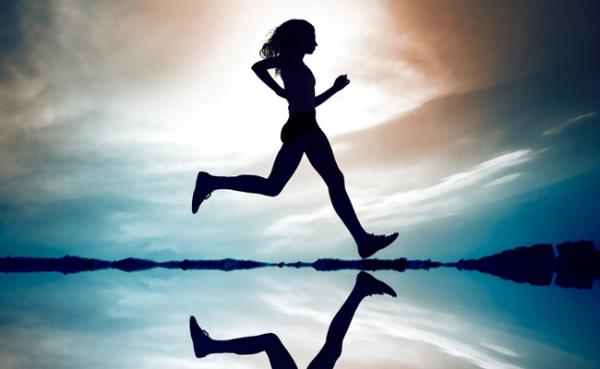 Muscle glycogen is stored carbohydrates that are used during a workout. When you deplete them, your muscles will fatigue and they won’t perform anymore. Increased cortisol during exercise is a normal response, but you want to ensure proper resting periods to ensure cortisol returns to baseline. 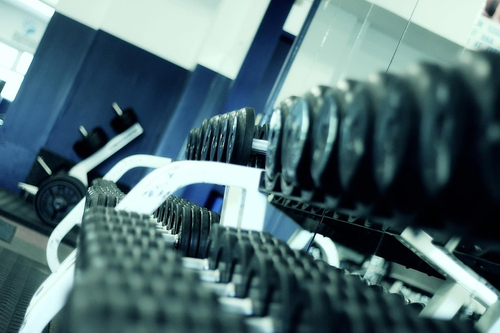 The harder the workout, the greater amount of cortisol is released. Excessive cortisol is a reason why many people plateau. Our bodies do not differentiate between physical exercise induced stress and other emotional or psychological stress. Supplementing with carbohydrates and protein during exercise decreases cortisol levels and provides energy to support the immune system. Carbohydrate loading is a bad habit to get into. Over time, this practice can lead to insulin resistance and eventually Type 2 Diabetes. Only moderate amounts of carbohydrates (20-30 grams) are necessary during the energy phase. This is equivalent to 2/3 cup pasta or a large apple. Add about 6 grams of protein to prevent a blood sugar spike. Proper hydration is not needed only during workouts. Maintaining adequate water intake all the time will help prevent heat exhaustion and dehydration during trainings and events. 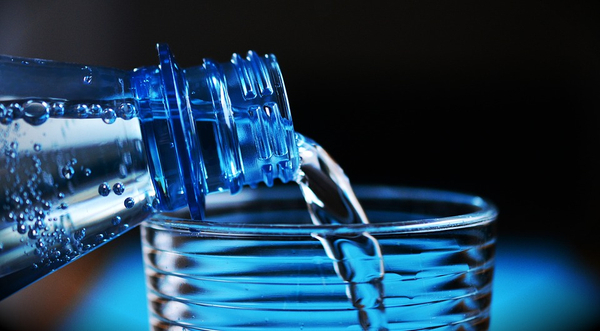 Keep in mind that alcohol and caffeine, along with some medications, cause your body to lose water; therefore, extra water intake is necessary. Drinking too much water can also dilute your electrolytes, so add ½ tsp each of Celtic salt and sodium bicarbonate (baking soda). This is the time when your muscles begin to repair, muscle glycogen is replenished, and muscle enzymes are created for recovery. This phase lasts about 30-45 minutes after a workout. This is when timing is essential. Your muscle cells need protein, vitamins, carbohydrates and water to repair efficiently. Whey proteins (15-20 grams) are best during the anabolic phase for muscle repair; although rice and pea proteins offer an alternative for those who have food intolerances and digestive problems. Give your body about 50 grams of carbohydrates in this phase to repair the muscle glycogen to assist in faster muscle recovery. The elimination of metabolic wastes like lactic acid can be increased by adding 2 grams each of glutamine and leucine. I would recommend replacing these nutrients in a liquid form to ensure quick delivery to your muscles. A clean protein shake that can be reconstituted with water would work well. Proper resting periods are vital to prevention of OTS (Over Training Syndrome). Symptoms of OTS include fatigue, depression, burnout, anxiety, insomnia (or change in sleep patterns), focus problems, excessive soreness, glucose problems (must eat every 1-2 hrs) and increased infections especially recurrent respiratory infections. OTS is also often called “burnout” and can lead to significant negative psychological symptoms as well as physical fatigue. Adults should be getting 7-9 hours of sleep every night and children require even more. Remember sleep is food for the brain! If cortisol levels are not coming down to allow for regular sleep, supplements may be necessary to augment cortisol levels. Cortisol can be checked in a saliva test to be sure. If you find yourself having muscle aches and pains after your workout there are a few supplements you should consider to help ease the pain. 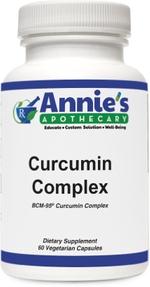 Curcumin Complex is a turmeric based product that may help relieve minor pain and inflammation. A product that may help with joint support is SynovX by Xymogen. It contains glucosamine and chondroitin and a few other components that may help repair cartilage, cushion joints, and help maintain flexibility. Also, do not underestimate the power of Magnesium. It is a critical mineral that is essential to over 300 functions in our body. Magnesium has beneficial effects for muscles and can be used to relieve overall tension and soreness. 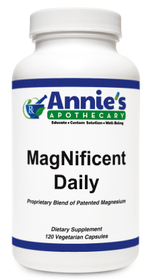 Our MagNificent Daily is a great source of magnesium. If you prefer a topical rub Heat Cool by Keys is a natural alternative to products like IcyHot or Bengay. Keys products are organic and chemical free and would be ideal for patients with skin sensitivities and allergies. And if you just plain overdid it at your workout we can recommend a compounded pain cream to you and your doctor to help alleviate your pain and get you back on your feet. An active lifestyle can be very enjoyable and is a must for emotional and physical well-being. By incorporating proper exercise nutrition, hydration and sufficient rest to effectively recover you will gain the maximum benefit from any exercise activities. Training smarter not harder will help you feel better, recover faster and stay in it for the long run. If you have questions please call or come visit us at Annie’s Apothecary. Could you have a nutritional deficiency? Check out the charts below to see if your symptoms could be a sign of a nutritional deficiency.